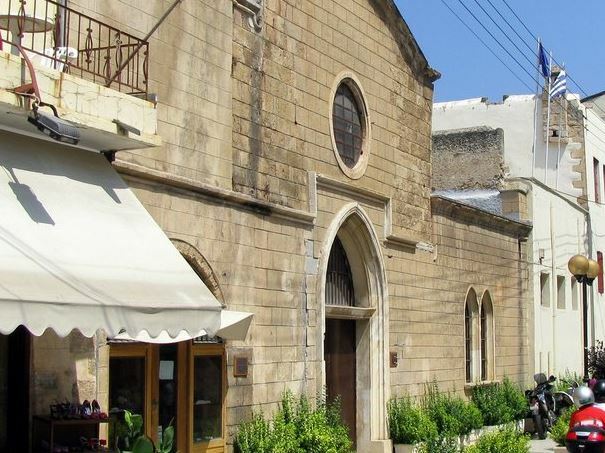 The Archaeological Museum of Chania is situated on Halidon 21 street, in the centre of the Old Town. It is housed in the katholikon of the Venetian monastery of St. Francis, one of the most important monuments of the Venetian period in Crete (1211-1669). During the period of the Ottoman occupation it was converted into the Muslim mosque of Yussuf Pasha, the conqueror of Chania. Its operation as a museum was established in 1963. The permanent exhibition includes findings which provide important information on the cultural history of Chania from the Neolithic period through the Roman period. The exhibition is divided widthwise into two major sections: the eastern part, with artifacts from the Late Neolithic and Bronze Age (Minoan times), and, the western part with antiquities of the Iron Age (historical times). The collections include Minoan finds from the city of Chania, prehistoric finds from caves, Minoan finds from various areas of the prefecture, finds from the graves of the Geometric period, historical discoveries from the city of Chania and various other towns. The museum contains a wide range of coins, jewellery, vases, sculpture, clay tablets with inscriptions, columns and mosaics.